on a Windows 10 computer. computers joined to the domain. Accounts category of the Settings app, as shown in Figure 1-1. From the Desktop, click the Start button, and then click Settings. In the Settings app, click Accounts. In the left pane of the Accounts page, click Your Info. In the Your Info page, click Sign In With A Microsoft Account Instead. Enter your Microsoft account user name and password, and then click Sign in. You will be asked to verify your identity to be able to associate the account. After verification, click Switch To Start Using Your Microsoft Account to sign in to Windows. 2. In the Settings app, click Accounts. 3. On the Accounts page, click Your info. 4. In the Your info box, click Sign In With A Microsoft Account. 6. Enter your Microsoft account user name and password, and then click Next. 7. You will be asked to verify your identity to continue associating the account. 8. After verification, click Connect to associate your Microsoft account with your domain account. what they’ve configured with their domain accounts between computers by using a Microsoft account. Policy cannot be configured on Windows 10 Home edition. the use of Microsoft accounts in your enterprise. impossible for an existing administrator on this computer to log on and manage the system. using Microsoft Store or Microsoft Office 365.
licensed to them on up to five compatible devices. cloud, or a combination of these. documents from any location or computer, provided an Internet connection is available. more about Office 365 at: https://products.office.com/en-ca/business/explore-office-365-forbusiness. configuration steps on the Office 365 Admin Center page, pictured in Figure 1-4. Open a web browser and navigate to https://login.microsoftonline.com. Sign in with the appropriate user name and password. 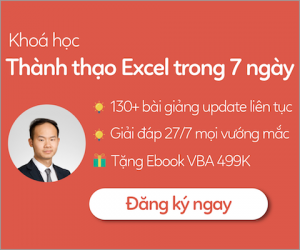 From the Office 365 Admin Center My account page, click Install Software. Click Run to start the installation, click Yes to continue, and click Next to start the wizard. Select No Thanks to not send updates to Microsoft, and then click Accept. Click Next on the Meet OneDrive page. Click Next to accept defaults, select No Thanks, and then click All Done. Groups From this page, you can configure groups and shared mailboxes for your organization. Domains From this page, you can manage and add domains used by Office 365. Settings There are several pages available under the Settings menu, including Services & Addins, Security & Privacy, Organization Profile, and Partner Relationships. There are other important features of Office 365 that you need to consider in preparation for the exam. scenario or question on the exam. to complete before using any Office applications. in the user interface still reference the older name. available to the public, as a free trial or paid app. download any apps from the Microsoft Store. Windows 10 computers, tablets, and mobile phones or smart devices, as well as Xbox. on up to 10 devices that are associated with his or her Microsoft account. the Microsoft Store and be made available only to members of the organization. much like traditional Windows programs, are covered in Chapter 8, Managing Apps. 1. Open the Microsoft Store while signed in to Windows with a Microsoft account. by using the Search toolbar, also at the top of the window. in the background, and you are notified when the installation is complete. Package Deployment. Change the setting for Allow All Trusted Apps To Install to Disabled. every 90 minutes. To force a refresh, you can run gpupdate /force from the command prompt. easily manage their LOB apps. easily browse the portal, locate the apps they need, and install them. users must sign in using credentials from Microsoft Azure. with the Windows Configuration Designer. All Trusted Apps To Install, select Enabled and click OK.
app, signed by a Certification Authority (CA) that the computer trusts, can be installed.